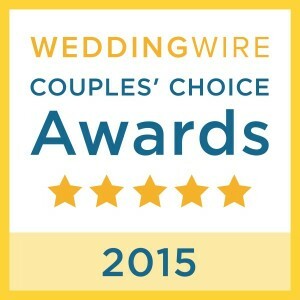 Winner of the Wedding Wire Couples’ Choice Awards 2015!! 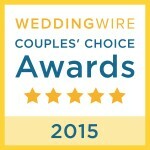 For the fourth year, we are so excited and honored to have been chosen as the winner of the Wedding Wire Couples’ Choice Awards! Thank you to our amazing clients – we couldn’t have done this without YOU! The winners of the Wedding Wire Couples’ Choice Awards are determined by recent reviews and surveys from newlyweds, recognizing the TOP 5% of local wedding professionals who demonstrate excellence in quality, service, responsiveness and professionalism. YOU make us the best photographers in the STATE! And of course a big shout out to our amazing team of photographers & awesome office manager, who work hard to ensure every bride’s experience is nothing less than THE BEST! !